What happens when a nerd turns into a werewolf? Being a teenager is hard enough, but it becomes almost impossible when you are suddenly banished from your home and forced to live with someone you barely know. Add to that the fact that you're secretly a werewolf. 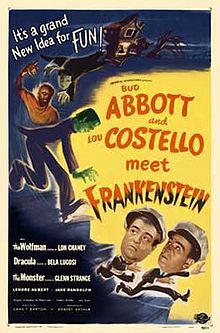 I became enamored with werewolves after watching the movie Abbott and Costello Meet Frankenstein when I was a kid. As I grew into my author shoes, the conflicted wolf man character grew too. I gave him the name Cody. I knew him well because we became friends when I was a child. I set the story in Loxahatchee, Florida, one of the greatest little cities on Earth. It's known as the town that doesn't ask a lot of questions. The perfect place to raise a werewolf. I chose Christmas Eve, 2007, to start the story because there was a full moon that night. 1. Loxahatchee is located in the northernmost region of the Everglades in South Florida. 2. The nudist colony mentioned in my books is actually the Sunsport Gardens Naturist Resort. 3. The drive-through safari mentioned in my books is actually the Lion Country Safari. 4. The burial mound mentioned in my books is actually Tony's Mound. 5. In May, 2008, Loxahatchee was threatened by a massive brush fire along SR 80 that may have been deliberately set. 6. In May, 2008, Loxahatchee was flattened by a wind storm that downed power lines and trees. 7. In August, 2008, Tropical Storm Fay hit the area.